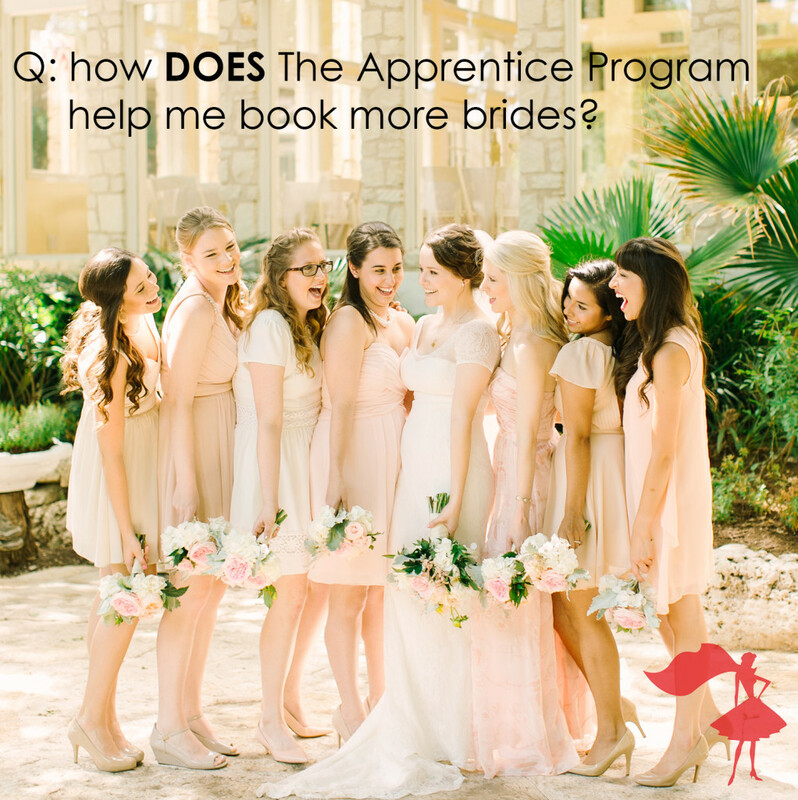 Mary, how DOES The Apprentice Program help me book more brides? I get that it helps me train my interns, but what’s in it for me in the long-term? It’s a completely valid question – before you commit, you want to make sure it’s gonna help your firm grow and improve. Forbes magazine recently announced that Event Coordinators is the #5 most stressful job in America on their list of The 10 Most Stressful Jobs for 2016, with CEO coming in at #7 – so double whammy if you’re a CEO of an event planning firm! I’m not gonna sugarcoat it, this means 2016 may be a very stressful year. This is why you need to make sure you’re getting ALL the help you can get. Interns are perfect for this – they’re eager to learn more about the industry and keen to get that oh-so-impressive practical experience for their resume. In return, you need to provide them with training. The Apprentice Program will help you train your interns on all the crucial topics of wedding planning, including: event design, budgets, creating planning timelines, sales & marketing and MORE… as well as giving you the opportunity to explain exactly how your firm does these things. This means that when it comes to being on-site at events, your interns will be able to jump in and help with tasks faster, knowing exactly what to do. Some of you may think that training your interns on-the-fly while on-site at weddings is the quickest and easiest way to get them up to speed. What you need to remember is while you’re busy explaining to an overwhelmed intern all the HOWs and the WHYs of the way you do things, you’re not able to focus on the true needs of your clients and/or able to put out any unexpected fires that come up. Let’s look at it with a football analogy…the quarterback doesn’t run brand-new plays on game day with his team. He runs the plays that they’ve trained on and mastered at practice during the week. The same applies to event planners. When it’s your client wedding day, you aren’t slowing down to teach your team the importance of WHY you have a risk management plan. You run the SWOT plan when a challenge comes up…no questions asked. The Apprentice Program only requires about an hour of the mentor’s time each week (1 hr 5 min to be precise). In this time, you’ll be watching 4-5 short “spark” video segments on one topic and dealing with a few THINK FAST scenarios, where you and your interns are given real-life tricky situations on the topics and you get to see how your team thinks fast on their feet and would handle it. Simply one hour of training time with your team, once a week means that when you’re on-site at a wedding, not only can you focus on the task at hand, but your interns will be on the ball and ready to help with whatever tasks you delegate! Not only will you save time while on-site at weddings, one of the training topics we cover is sales & marketing tips – something that we’ve personally found interns EXCEL at. Millennials are great at keeping up-to-date with all the latest tech trends, whether it’s a new social media platform or a newer operating system for a program you already use. Tap into their social media knowledge to help you expand your marketing efforts! Get them to set up a profile on Instagram or Periscope for your company and you may just find you’re able to target clients in an entirely new way. >>> Click the button below! 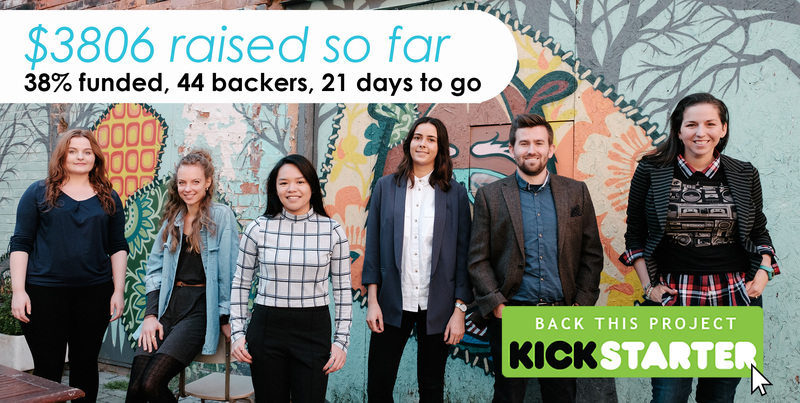 7 days down, 37% funded via Kickstarter!